Partitions, also called as disk partitions, are logical divisions on a hard drive or other storage media such as SSDs that can be further partitioned based on a user’s particular requirement. Partitioning hard drives allows users to manage files, install multiple operating systems, and it also gives a sense of multiple storage drives as each logical partition is assigned a particular letter and storage doesn’t coincide with the other partitions. A partition where the operating system is installed. A system can have up to 4 primary partitions. These partitions are more of a container that can be used to create logical partitions. A Windows system can have either four primary partitions or one extended partition with three primary partitions. Partitions that can hold data or stores data are called logical partitions. 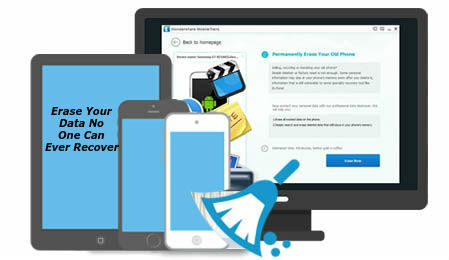 Here are a few methods with which you can permanently erase partitions on Windows operating system and help you to get rid of your confidential data — which is no more needed— and safeguard your private data from recovery software/services when you sell, donate, reuse, or recycle your hard drive or other storage devices. You can delete, format, and modify partitions using the Disk Management tool in Windows. Cipher Security Tool is a free utility that comes with Windows. It overwrites the deleted data on the partitions in 3 phases. However, this command does not work for files smaller than 1KB. To use Cipher tool, open command prompt and type cipher /w:D:\ and press Enter [here D: is the drive volume (partition) letter]. *Be careful while using the tool. If you are not familiar with command prompt, avoid this and follow the next recommended method. Unlike above-mentioned methods, a secure data erasure tool such as BitRaser for File uses 17 international data erasure algorithms like DoD 5220.22-M (3passes/7 passes), NATO, etc. to overwrite your confidential data and empty spaces (which might contain previously deleted data). This makes recovery impossible even with the help of forensic tools. It’s an easy to use privacy safeguarding tool that also lets you erase volumes with desired data erasure algorithm. Additionally, the tool offers two verification methods that verify if the data is permanently gone during the erasure process. The BitRaser for File is the only tool that generates a certificate of erasure which guarantees data sanitization and can be used to meet regulatory compliances and audits. One effective way to protect your confidential data is to encrypt it with the help of hardware or software based encryption techniques. However, when you sell, donate, or re-use the storage drives such as your hard disk, it’s important that you erase the data permanently with the help of a secure data erasure tool such as BitRaser for File. This not only helps you safeguard your sensitive information but also helps you get rid of a pesky malware or virus and also helps fix issues with the disk partition commonly caused by corrupt files. Most importantly, BitRaser for File is developed by Stellar Data Recovery, pioneers in the field of data recovery and migration solutions & services. Therefore, if the tool says data is gone, it’s gone for good beyond the scope of recovery.